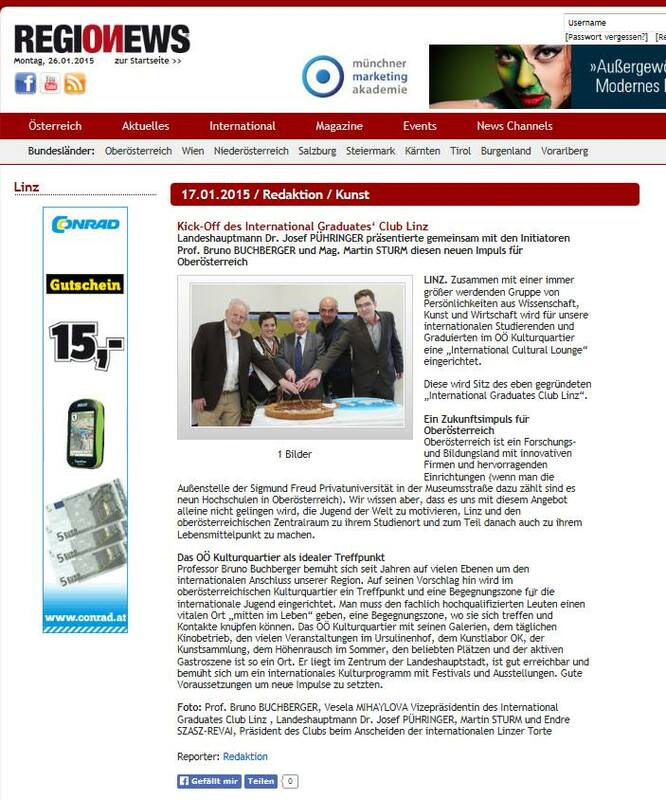 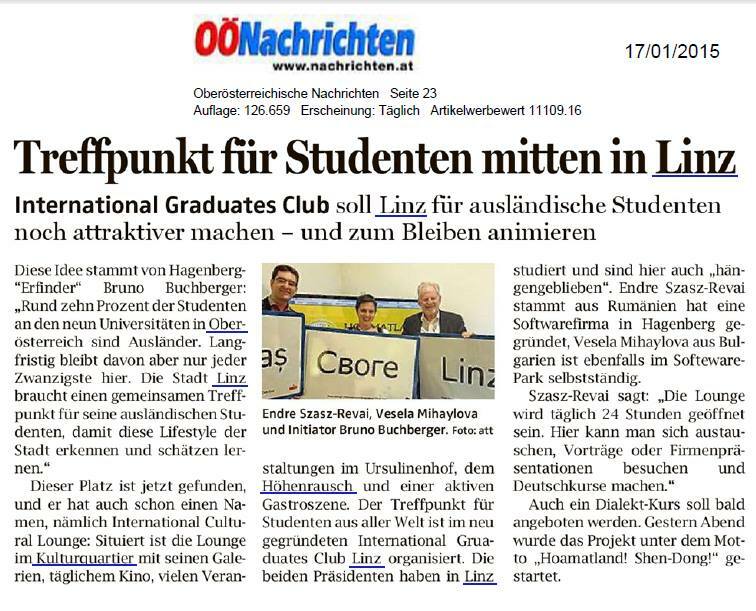 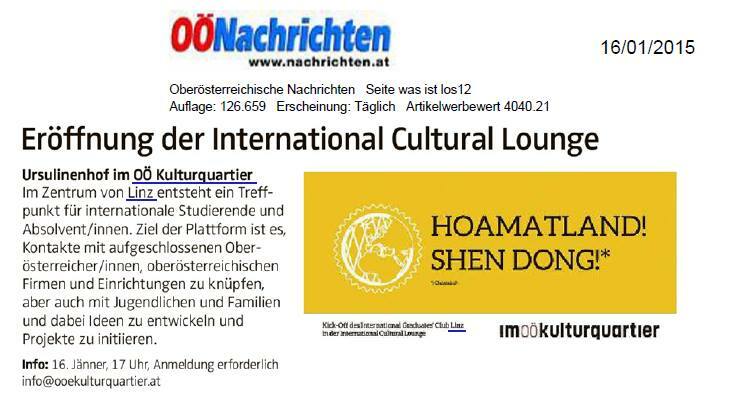 the International Graduates Club Linz featured in OÖNachrichten. 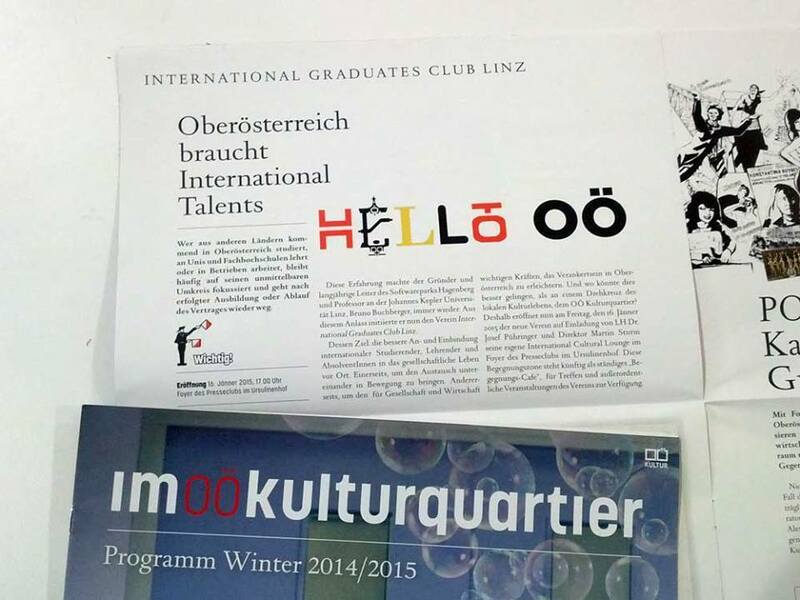 The International Graduates Club Linz featured in RegioNews – read article. 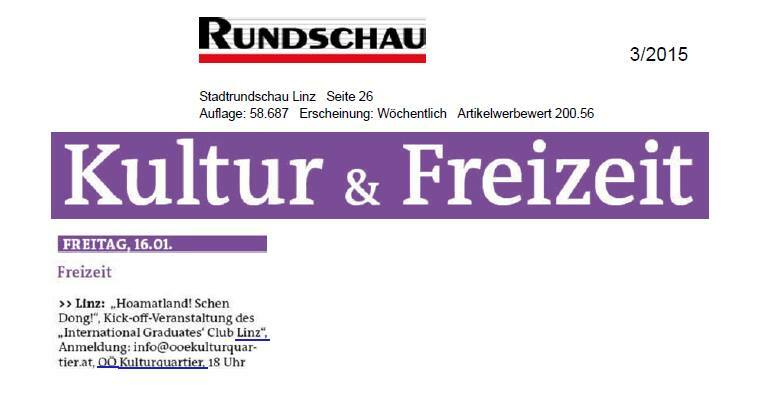 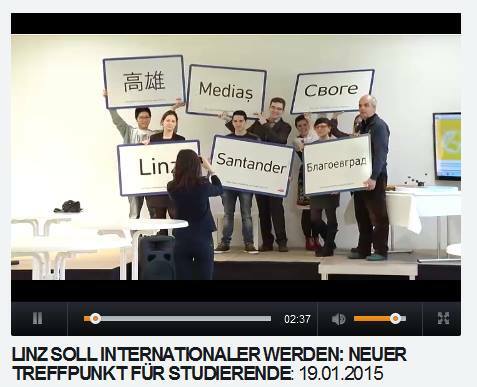 The International Graduates Club Linz featured in Rundschau. 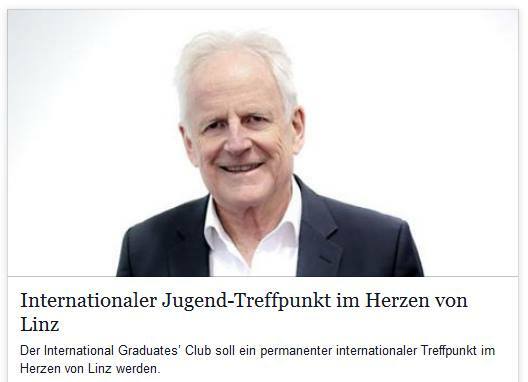 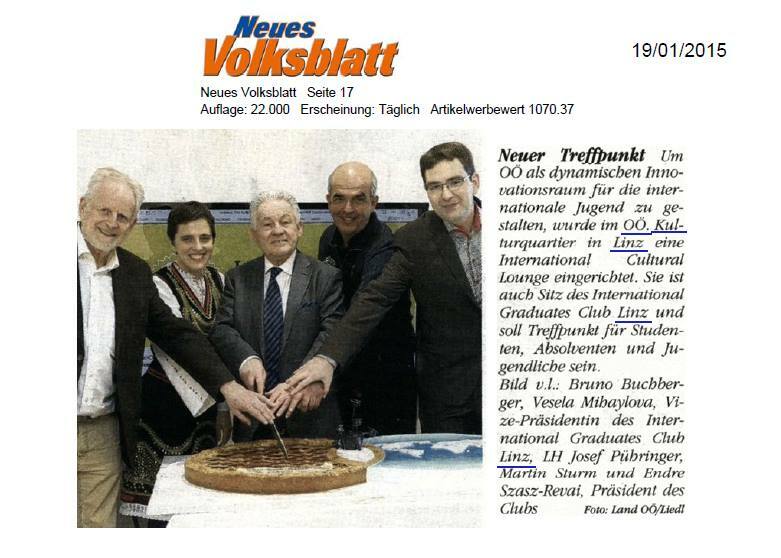 The International Graduates Club Linz featured in Neues Volksblatt.